Emperor Akihito is set to abdicate on April 30 and his son Naruhito will ascend to the throne on May 1, which will become a new national holiday. Combined with weekends and the existing series of national holidays in April and early May, this year’s Golden Week will extend to an unprecedented 10 days, a phenomenally long holiday by Japanese standards. 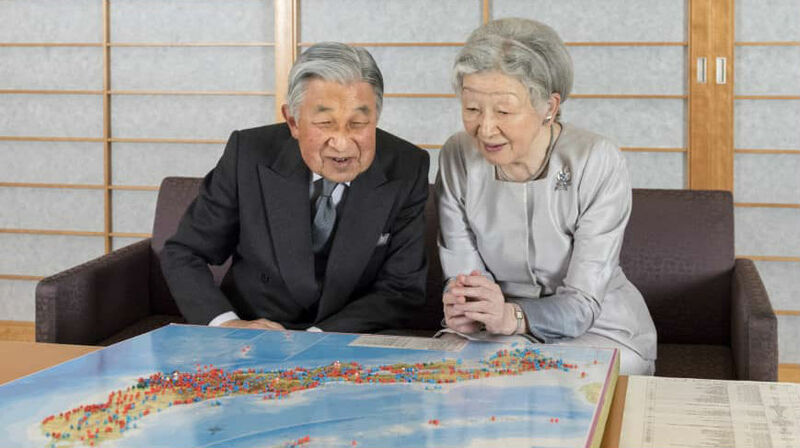 Emperor Akihito and Empress Michiko plan where they’re going to spend their retirement! Who doesn’t love a long holiday, right? Well, one worry about this long break is how it will affect businesses and hurt sales. Here at Japan Store, we will be unable to get stock from manufacturers or suppliers, so many orders placed during this time are likely to be delayed. But rest assured that we will do everything in our power to get all orders shipped as soon as we possibly can. If you have an urgent delivery deadline, make sure to let us know. We will “upgrade” the shipping on urgent orders where possible and ensure that they are prioritized.